Stealing from Americans isn't enough. The trouble with Socialism is that eventually you run out of other people's money. She slashed England's socialist welfare state, and the economy boomed for a while. Unfortunately, ten years of Labour governments have returned England to the point of bankruptcy; today's coalition government is having to slash and burn government spending to avoid going under. America has a similar problem with gross overspending, overtaxation, and overregulation. Unlike England's leaders, however, Barack Obama has rediscovered a different way to solve Margaret Thatcher's conundrum: Having run out of American money to steal, our government has widened its scope and is stealing from the entire rest of the world. We were told that Mr. Obama's election would start to repair the damage Mr. Bush had done to our relations with other countries. Whatever good will Mr. Obama may have gained by placating Russia over missiles or by pandering to Venezuela over Honduras appears to be dissipating because of the way he's managing the US economy in general and the value of the dollar in particular. Having been "shellacked" in the 2010 midterm elections, Mr. Obama can't spend money as freely as before. Although making serious cuts will be difficult for the Republicans as long as Mr. Obama controls the White House and has his veto pen, there won't be any increases. TEA stands for Taxed Enough Already, so the prospects of getting Republicans to raise taxes are dim, and letting the Bush tax cuts expire will be called Mr. Obama's tax increase no matter what anyone says. What's worse, the Republicans are threatening not to increase the debt ceiling. If they don't let him borrow any more, Mr. Obama won't be able to spend the money that was authorized by the Democrats before the shellacking. What's a big-spending liberal to do? Now that the votes have hinted subtly that they want economic growth more than they want Obamacare, his only realistic hope is to get the economy moving again. To that end, the Federal Reserve Bank, which controls our money, is playing a game known as "quantitative easing." In plain English, they're going to (electronically) print about $600 billion new dollars and increase the money supply. As with every commodity, the more dollars there are, the less they're worth. When the dollar becomes worth less, we call it "inflation." What this means is that if you saved money in the past, your dollars will be worth less when you spend them than they were when you earned them and stashed them away. Inflation wipes out savers and helps debtors. Who's the biggest debtor of them all? The US Government, of course. Making dollars worth less will make it easier to pay off debts to the Chinese, the Germans, the Japanese, and to all the other countries we owe. Inflation also means that you and I will pay a lot more dollars for everything we buy. Mr. Obama claims that this will help the economy, but we don't believe it helps the economy if we have to pay more for food, clothing, shelter, and everything else. Inflation is taking hold - the price of gold soared above $1,400 per ounce, setting a new record, investors are buying gold instead of investing in job creation, and food prices are making shocking jumps. The Fed's decisions are "undermining the credibility of U.S. financial policy," Mr. Schäuble said in an interview with Der Spiegel magazine published over the weekend, referring to the Fed's move, known as "quantitative easing" and designed to spur demand and keep interest rates low. 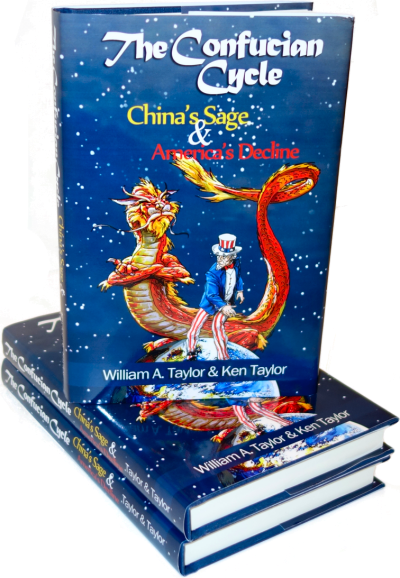 "It doesn't add up when the Americans accuse the Chinese of currency manipulation and then, with the help of their central bank's printing presses, artificially lower the value of the dollar." Germany is concerned that a cheaper dollar would make American exports more competitive. The German economy is better off than most, partly because Germany exports so much. If exporting becomes harder, the German economy will be hurt. German voters won't like that. His interest in helping the German economy notwithstanding, it seems that Mr. Schäuble's view that our elected masters are at a loss is correct. The Obama administration knew that midterm voters were concerned about unemployment, the deficit, and the economy. The administration tried to pump the economy, but accomplished nothing because cutting regulations was off the table. Bringing inflation back to America has the air of a desperation move, something to do only because the administration can't think of anything else. The trouble is that exporting countries like Germany, China, Japan, Korea, and Taiwan won't sit idle, they'll lower their currencies so their exporters aren't hurt. This will defeat the purpose of American inflation and cause a trade war. The last time there was a competitive devaluation of currencies, it ended up where it did, in the Second World War. International politicians are right to be concerned that a cheaper dollar would limit their future exports. China might have a revolution if their economy shows down too much. German voters are nervous over the money Germany put up to bail out the Greek government, and they, too, have elections coming. Important as future exports are, threatening past exports may be even more painful. Almost all exporting countries sell more to us than we sell to them, partly because our government makes life so hard for manufacturers. Our inability to export leads to a "trade deficit" in that we have to come up with more dollars to pay for imports than we get from selling exports. Up until now, we've profited from an informal system where each country had to "buy back the deficit" by buying enough Treasury bonds from us to pay for their part of our trade deficit. This has gone on for so long that some countries hold a lot of Treasury bonds - the Chinese have nearly a trillion dollars worth. If the value of the dollar goes down, the bonds' value will fall. In other words, they'll lose money on past exports to us which they thought had earned a substantial profit at the time. Oh, so very much - and they will, too. The price of gold was about $800 per ounce when Mr. Obama won the 2008 election. It has since climbed over $1,400 per ounce. The trillion dollars the Chinese owned in 2008 are now worth about $570 billion, a loss which beggars belief. Your savings and my savings have gone down by the same percentage, of course; our government is stealing our money, too. That's why some of us don't save much - savings will lose almost all value by the time we're ready to spend so we may as well turn whatever money we have into something useful right now. The media told us that Mr. Bush had irritated and alienated our allies and that Mr. Obama would bring a new era of sweetness and light. Mixed in with sweetness and light, however, his mismanagement of our economy has cost our trading partners billions and billions of dollars after the fact. Being pushed around by Mr. Bush may not have been much fun, but at least Mr. Bush didn't steal their money. 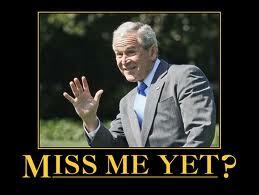 Do our allies miss Mr. Bush yet? Another grave consequence of devaluing the dollar is that it steals from the worldwide economy since most foreign exchange reserves are held in dollars - because nations trusted the Fed not to do precisely what they are doing. Why this is grave for America is that nations will think twice in the future before holding their reserves in dollars, thus further flooding the market with excess currency, thus driving its value down even more. The dollar stands to lose its position as international currency of choice. This is not a bad thing for other nations by and large (after they've cut their losses and dumped their dollars), since the Fed has been sucking their life-blood for a while now, but it is most certainly bad for America. There has been talk of not using the dollar any more since it is not the 'gold standard' that it used to be. The more quickly the value of the dollar changes the more true that will become. Actually, I'm not sure but what the Fed might get away with this. It's easy to say "the dollar shouldn't be the reserve currency" but you have to find something else to switch to, and there aren't any obvious candidates. Japan's economy has been terrible for a decade, Europe is more broke than we are, and China's currency is non-convertible. There's always gold, but there isn't really very MUCH gold, certainly not enough to go around. Maybe England's Pound Sterling, if the new government can right the budgetary ship? Not anytime soon though, and England's economy is such a teeny tiny fraction of the world's that it would be rather strange and awkward for them to be the reserve currency. You might as well use Swiss francs or the Singapore dollar. The American dollar is still the best reserve currency, simply because everything else is worse. Supply generally rises to meet demand. If the US gets its customers irritated enough, they will create something if only to stick their thumb in our eye. This is madness. Hey, the Republicans are pushing back! Yay! (Reuters) - A group of Republican-leaning economists will launch a campaign this week calling on U.S. Federal Reserve Chairman Ben Bernanke to drop his plan to buy $600 billion more in Treasury bonds, the Wall Street Journal reported on Monday. The Fed's latest policy decision has come under unusually heavy criticism from Republican lawmakers, and the central bank is likely to face intense scrutiny when a new Congress is seated in January. "The planned asset purchases risk currency debasement and inflation, and we do not think they will achieve the Fed's objective of promoting employment," the WSJ quoted the economists as saying in a letter to be published as a full-page advertisement this week. The 10-year Treasury yield hit a two-month high, helping the dollar hit a six-week high against a basket of currencies, partly in response to the WSJ report. The letter was signed by economists including Stanford University's Michael Boskin, once chairman of former President George W. Bush's Council of Economic Advisers, and John Taylor, a monetary policy scholar who served in both Bush administrations. Currently, the Fed appears on track to buy the entire $600 billion in U.S. government debt, barring any big unexpected shift in the economy's prospects. If anything, lingering weakness and renewed concerns about global credit markets may lead top officials to lean toward doing more rather than less. The independent Fed has already fought off a legislative effort that would have subjected its monetary policy decisions to congressional audits, although that proposal could resurface in the coming year. This guy is either a liar or a complete idiot. Even Mr. Obama said that the purpose was to help the American economy. In a rare on-the-record interview, the president of the Federal Reserve Bank of New York said the Fed's program was not intended to affect the dollar's value. Not intended to affect the value of the dollar. So they're guilty of second-degree idiocy as opposed to first-degree idiocy. They ought to be fired either way. With the Federal Reserve under attack at home and abroad, it is making an unusual public bid to keep itself away from the political crossfire. After a barrage of criticism over the last week — including from foreign leaders, Congressional officials, economists and Alan Greenspan, the former Fed chairman — the Fed came out to explain its efforts to inject $600 billion more into the sagging economy. One worry of Fed watchers as well as its defenders is that some of the domestic criticism may have the subtext of challenging the Fed’s traditional independence in deciding monetary policy without political interference. In a rare on-the-record interview, William C. Dudley, president of the Federal Reserve Bank of New York, said that the Fed’s move was not intended to affect the value of the dollar, but rather to encourage a faster, stronger recovery that will also assist international growth. And in an interview with The Wall Street Journal, the Fed’s new vice chairwoman, Janet L. Yellen, defended the decision in broadly similar terms. “I’m having a hard time seeing where really robust growth can come from,” she said. “And I see inflation lingering around current levels for a long time.” Ms. Yellen said she was “not happy to see us caught up in a political debate." The comments by Mr. Dudley, who is also the vice chairman of the Federal Open Market Committee, which sets monetary policy, and by Ms. Yellen amounted to an unusual rebuttal, the first by top Fed officials, of criticism of its decision this month to pump money into the banking system. The plan is to spur the recovery by buying government securities to lower long-term interest rates. Kenneth A. Froot, who teaches international finance at Harvard Business School, said, “The Fed needs to get the word out more clearly” because of the politically volatile times. Mr. Froot added, “This is a very rare circumstance where the basic authority we vest in institutions like the Fed has, more than ever, been challenged,” by politicians and economists who are often identified with political parties. The bond markets have been increasingly uneasy about the Fed’s actions. On Monday, bond prices fell and yields jumped as a result of the concerns. The criticism has tended to fall along three lines. Some have accused the Fed of deliberately weakening the dollar to make American exports more competitive. Others fear the Fed’s decision could ignite inflation down the road. Still others say the policy will be ineffective absent additional fiscal stimulus. Fed officials were clearly unsettled by an opinion piece by Mr. Greenspan in The Financial Times on Thursday, at the start of meetings of the Group of 20 nations in Seoul, South Korea. Mr. Greenspan said the United States was “pursuing a policy of currency weakening” and increasing the risks of trade protectionism.